The BJP has finally admitted that the channel is run by its IT cell. According to Amit Malviya, the Head of BJP IT cell, the channel is a feature of NaMo app and that the BJP has taken slots on DTH platforms to broadcast it. 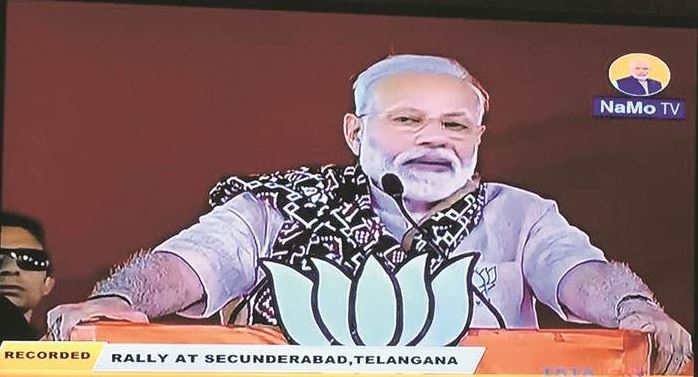 The mystery over who runs NaMo TV, a channel dedicated to broadcasting PM Narendra Modi's elections speeches, which appeared across almost all DTH platforms earlier this month’s seems to be solved. On Wednesday, the Election Commission had banned the release of the biopic of PM Modi till the elections are over. According to reports, the ruling is applicable to content on channels like NaMo TV. BJP which maintains that the content on NaMo TV doesn't violate the MCC said they haven't received any order from the EC and the channel continues to be on air on most DTH platforms.